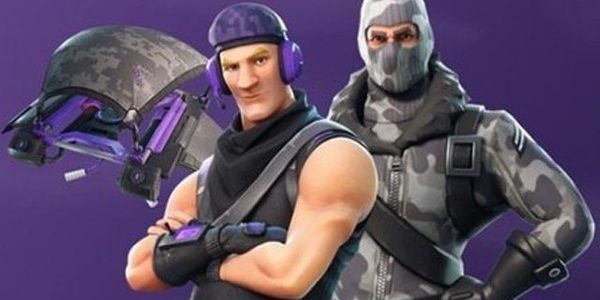 Three titans of the online gaming industry: Fortnite, Ninja, and Amazon are in collusion with each other to trick the general public, or consumer, into buying prime subscriptions. They are using Ninja as a platform to spread false advertising by means of intelligent staging and viral media campaigns. This deal was signed in 2017 and has been going ever since the rise of Ninja's twitch channel and the massive increase in twitch prime subscribers. How deep does it go, we can only assume, but we, a group of employee's in the industry are coming clean to try and stop this dishonesty! Most of the world is familiar with the name Ninja, and his supposed 'godlike skill' at Fortnite. Well, we are here to tell you that his video clips, and even his performance on live streams, is all staged. Epic Games has simply enabled Ninja's account to be matched up against bots, and the worst of the worst. You can look this up yourself, if you watch his streams simply type in the names of some of the players he kills and you'll find something very interesting. The accounts do not exist! They either do not exist at all, or are brand new accounts with no stats. Funny eh? We can only conclude that Epic has put him against a mix of bots and real players for appearances only. Not only that but 'clips' have been staged on a daily basis, where Ninja has rehearsed and practiced special moves vs bots and then played out the real thing in live games. How else would he be able to predict so many outcomes on his live stream? All of this hype surrounding his channel and clips has made him the perfect candidate to promote one thing: FORTNITE. But Epic Games need a sure way to profit off of this, since it's a free game. Luckily they had the perfect corporate giant lurking in the background ready to strike on the unsuspecting public. AMAZON. Amazon Prime conveniently has partnered with Epic Games to launch Prime Subscription bonuses in their game, and their 'prime' spokesman? Ninja. Coincidence? I think not. Amazon and Epic Games has essentially sponsored Ninja's rise to fame, and they continue to lie to you. This petition has been created to open the eyes of the fortnite community and the world. Open your eyes people.